Williamsburgh, NY - Police are looking for the person who burglarized three synagogues, and one church in Brooklyn. Police said the man made off with more than $1,000, but not before appearing on camera. A synagogue on Lee Avenue in Williamsburg is where police say the suspect began his burglary spree. 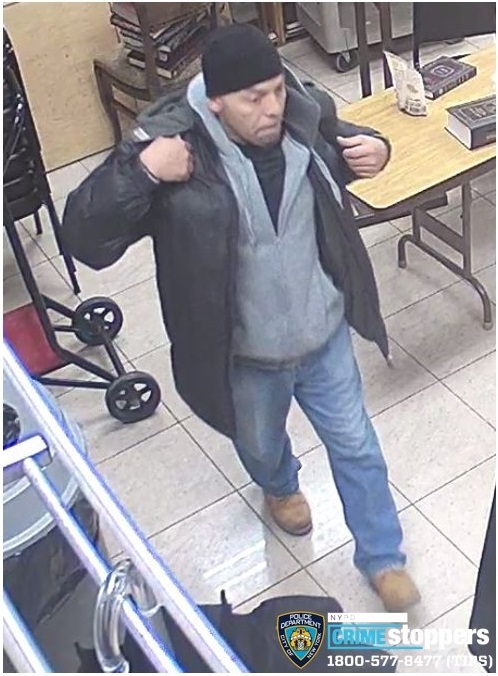 Investigators are hoping someone recognizes him from clear video and give them a call.